Contested versus Uncontested Divorce; What is the Difference? 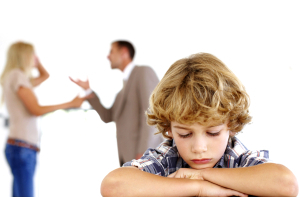 If you are married and getting a divorce, child support will usually be determined through the divorce process. In order to protect yourself, it is paramount that you acquire the best divorce attorney. If you are unmarried, the process can become more difficult. Often, in the case of unmarried parents, the Florida Department of Revenue determines the amount of support each parent is required to give. Our child support attorneys can help you calculate your pro-rata share to determine how much you are responsible to pay in child support. Each parent has a responsibility to pay for a share of child care, medical insurance, and other non-covered medical bills for the children. The pro-rata share takes into account the net income of parents and the total number of children. Effman Law handles many different child support cases from Refusal to Pay, to Child Support Modification. We fully understand Florida child support laws and our child support attorneys can apply our extensive knowledge of Florida family law to your individual case and get you the best possible results. Where Do I Go for Legal Representation in Broward County? Our skilled and dedicated child support lawyers in the Plantation and Fort Lauderdale areas have the experience and empathy to fully understand your case. Let our attorneys guide you through your child support case and relieve you of some of your emotional burden. We work hard every single day to help clients just like yourself reach their goals. Give Effman Law a call today for advice and fair legal representation in your child support case! Free consultation with Steven Effman – Family Law Attorney – starts by filling out the online form, or clicking the icon above. Thank You! Steven Effman – Family Law Attorney – will prepare your case through discovery, on to mediation and, if necessary, Final Hearing. He will work with you every step of the way. Steven Effman – Family Law Attorney – is an experienced matrimonial attorney. He will keep you advised as all developments occur in your case, from filing through Final Judgment. He is available to you when you need him.